Hopefully, crab fishermen (and crab eaters) won't have to wait long for the Dungeness season to start. 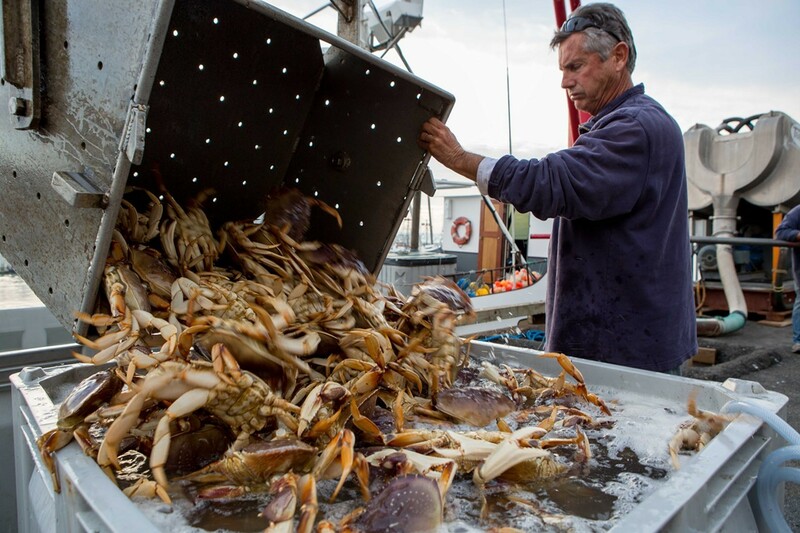 1) After a toxic algae bloom wreaked havoc on last year’s Dungeness crab season here in Northern California, Bay Area crab fishermen and crab eaters are keeping close tabs on the domoic acid levels in waters off the coast of California ahead of the traditional November 15 kickoff to the commercial crab season. So far so good, the Chronicle reports: While some domoic acid has been detected up and down the coast, state health department officials say the levels are normal for this time of year. Fingers crossed that that bodes well for those of us hoping to have Dungeness crab for Thanksgiving this year. 2) It looks like Oakland restaurateur Chris Pastena (Chop Bar, Calavera, Lungomare) is getting into the airport-food business: Eater reports that he’s collaborating with Manchester Airport Group to develop the food menu for a fee-based waiting lounge called “The Escape Lounge” at Oakland International Airport. The idea is customers to pay $40 for access to an all-you-can-eat spread of food, a full bar, Wi-Fi, and other amenities while they wait for their flight. The lounge’s ETA is November 1. 3) Berkeleyside Nosh reports that Four Barrel Coffee is opening a new roastery in Jack London Square that will eventually serve as the company’s main production facility. 4) Elsewhere in Jack London, Steel Rail Public House (439 Water St., Oakland) is under new management, East Bay Dish reports. The new owners are Brendan Eliason (of Periscope Cellars/Deep Roots Wine Bar) and Shawn Walker-Smith (of Tart! Bakery) — with Walker-Smith tasked with tweaking and adding to the food menu. 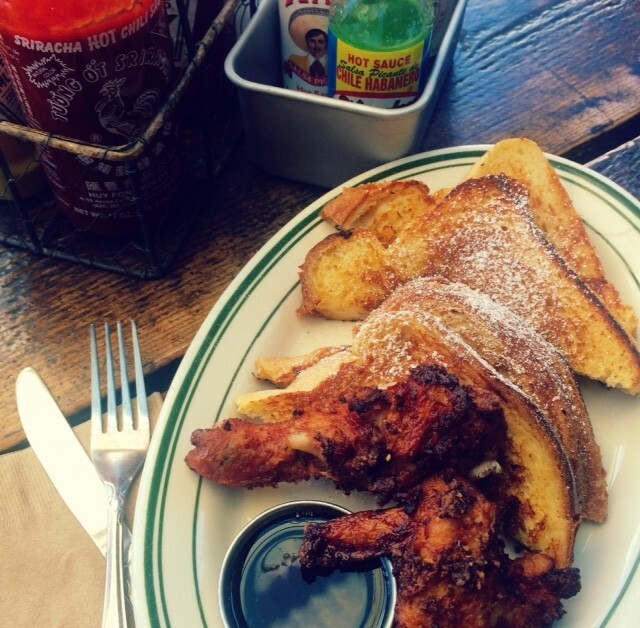 "Chicken and Frenchies," now available all day every day. 5) Actual Cafe (6334 San Pablo Ave., Oakland), one of the places plugged in our “breakfast without a line” roundup, recently announced that it has expanded its daily, all-day menu to include several dishes that were previously only available during weekend brunch. The restaurant also recently ditched table service. 6) The latest newcomers to sign on to join the Emeryville Public Market’s evolving food hall are Periodic Table — a craft beer and sake bar from the proprietors of Shiba Ramen — and Fish Face Poke Bar, whose original Sacramento location earns high praise from Express editor-in-chief Nick Miller.